Drinking is undeniably a big part of going out to parties and it’s fair that some people may not want to partake. However, I don’t see the point in attending a drinking party and not joining in. You wouldn’t go to a sober party drunk, so why go to a drinking party sober? I do agree that it is rude for people to exert peer pressure or make others feel bad for not wanting to join in on their alcohol-related activities. However, I would argue going to a party where you know everyone is going to be getting drunk and deciding not to drink is also rude. I’m not going to peer-pressure anyone to consume anything they don’t want to—but at the same time, if you’re not drinking then why did you come at all? Being drunk is a good way to lose your social inhibitions and just let loose once in a while, and I think you can only really do that when everyone is on the same page as you. For me, being at a party with a few sober people makes it weird and awkward because you’re all on different levels of sobriety and to them you seem obnoxious and crazy. Furthermore, it can be uncomfortable when you’re drunk and talking to someone who isn’t. You sound stupid to them and it’s hard to have fun in that environment when the other individual is more capable and more in control. If I’m at a party, I don’t feel comfortable unless everyone is having fun being drunk. It’s difficult to relax and have a good time when there are other people who are playing board games or watching television completely sober. For me, it kills the mood and brings down the energy of the entire party. I’ve been to parties where sober people make fun of the drunk partygoers or even act annoyed by them because they interrupt their board game, knowing fully that there would be people drinking at the party. It doesn’t make any sense to me—if you’re not going to drink, don’t go to a drinking party. I can’t imagine it would be fun to go to a party sober and have to deal with a bunch of wasted young adults. You won’t be able to converse or hang out with them in the same way as if you were all drunk or all sober, so what’s the point? I say if you want to hang out with your friends and go out to a social gathering but don’t want to drink, make your own event. Go to lunch or hang out with your friends another time where everyone can be sober and enjoy themselves on the same level. 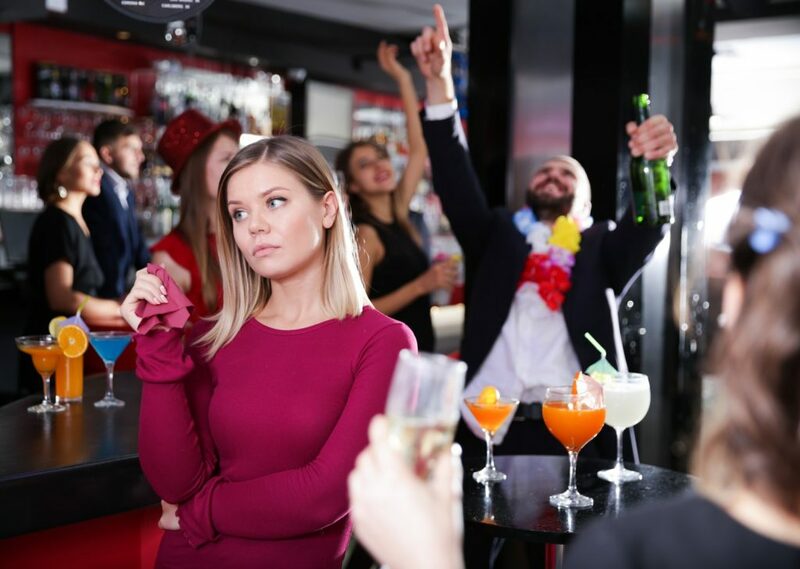 Of course you don’t have to consume alcohol to have fun, but if you’re going to a party where the expectation is that everyone will get drunk, it’s kind of a downer when people show up and don’t drink.